Only two days until Halloween! Harborway Drive and Turnberry Lane in Landfall are known as a popular place to be on Halloween night. With over 400 people trick-or-treating on these two streets, its always fun for neighbors to see each other. It all started about fifteen years ago when Harborway Drive was home to a few families who had multiple children that would trick-or-treat on their street. 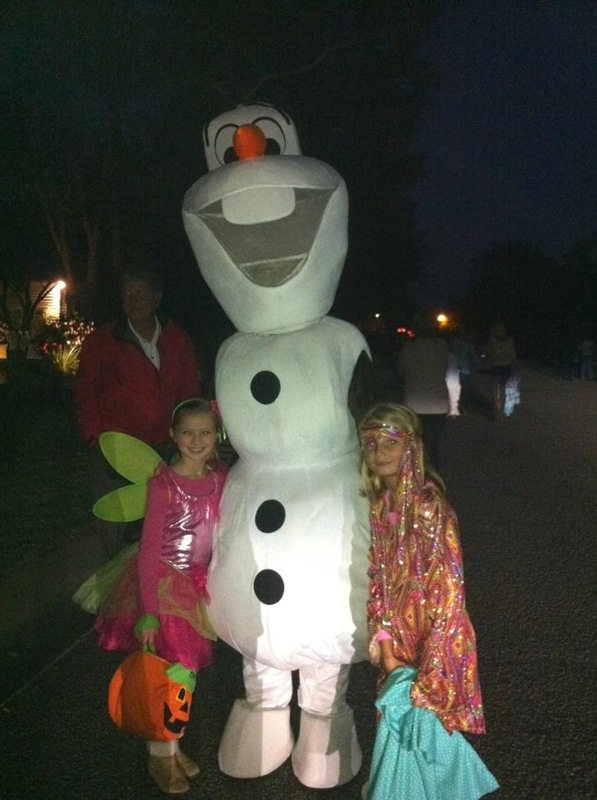 As more families moved onto Harborway and Turnberry the streets attracted attention and became a common place to trick-or-treat in Landfall. Now on Halloween the street is filled with witches, monsters, Disney characters, and superheroes running from house to house eager to fill their bags with candy. We hope that wherever you spend your Halloween that you have a fun and safe night! Congratulations to the Duke team who won the event with an impressive 9 under par! We hope to see you all next year! Have you been wanting to try that new restaurant downtown? Or the one at the beach that you heard has the best fresh seafood? Now is the perfect opportunity with Encore’s Restaurant Week in Wilmington, which started on Wednesday October 21st and lasts until Wednesday October 28th. Restaurant week is when restaurants all over town prepare a specific menu to share with their patrons. Additionally, the menus usually include buy one get one free lunches, dinner for two, free desserts, and prix-fixe three course meals. Some of the restaurants involved in this year’s Restaurant Week include Elijah’s The Basics, Yo Sake, Circa 1922, Roko Italian Cuisine, Osteria Chicchetti, The Melting Pot, Dig and Dive, Our Crepes and More, South Beach Grill, Bluewater Waterfront Grill, Boca Bay, Sweet-n-Savory, and Thai Spice. For a full list of restaurants go to mailto:http://www.encorerestaurantweek.com. Landfall Realty’s Tip of the Day! Here is a tip to get the musty/damp odor out of your home after a lot of rain. -Turn the fan back to the “auto” position. You don’t want the fan running too long in the “on” position since the Lysol needs to remain in the duct work to help reduce any mold or mildew that may be in the system. Tesla Motors are back! 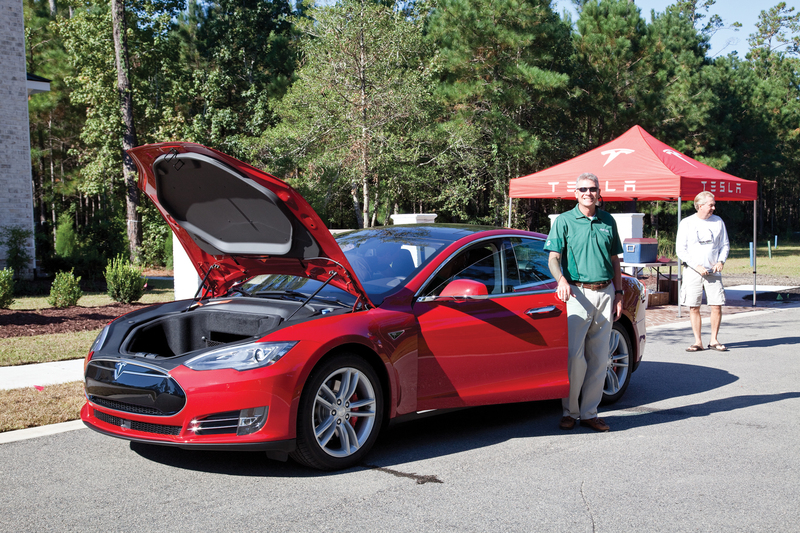 This Saturday, October 17, from 10:00 am until 4:00 pm Tesla Motors will be at the Landfall Realty Office. 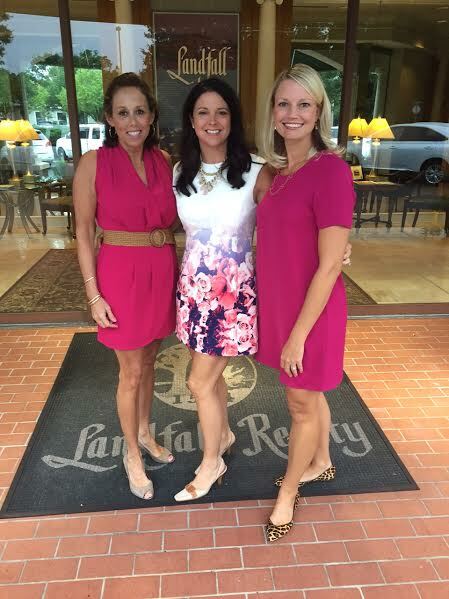 After last years large turn out for the test-driving event, Landfall Realty decided to host the car company again. Last years Tesla event with Landfall Realtor Jim Coley. signal, and a safety warning which warns you when approaching a stopped car too quickly or merging into an occupied lane. Not only are Tesla Motors advanced, but they have the highest safety rating in America. The Model X, the newest addition to the Tesla family, is the company’s first SUV. Come join us Saturday for a test drive and refreshments at the Landfall Realty Office located at 1720 Drysdale Drive. The Landfall Tradition is almost here! The women’s college golf tournament takes place at the Dye Golf Course the weekend of October 23-25. 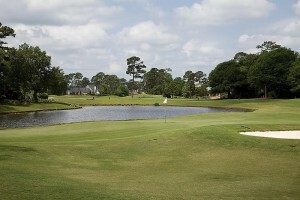 One of Landfall’s most popular golf tournaments, the Landfall Tradition is always entertaining. This years teams include the University of North Carolina at Wilmington and Chapel Hill, North Carolina State, Duke, University of South Carolina, Michigan State, Central Florida, Oklahoma State, University of Virginia, Wake Forest, Clemson, Elon, Kentucky, Penn State, Notre Dame, University of Alabama, Ohio State, and Purdue. Since its start in 2002, teams from over 65 universities have participated in the Landfall Tradition, and more than a quarter million dollars has been raised for scholarships and the UNCW golf program. The tournament also benefits the local economy by generating almost $250,000 in revenue. 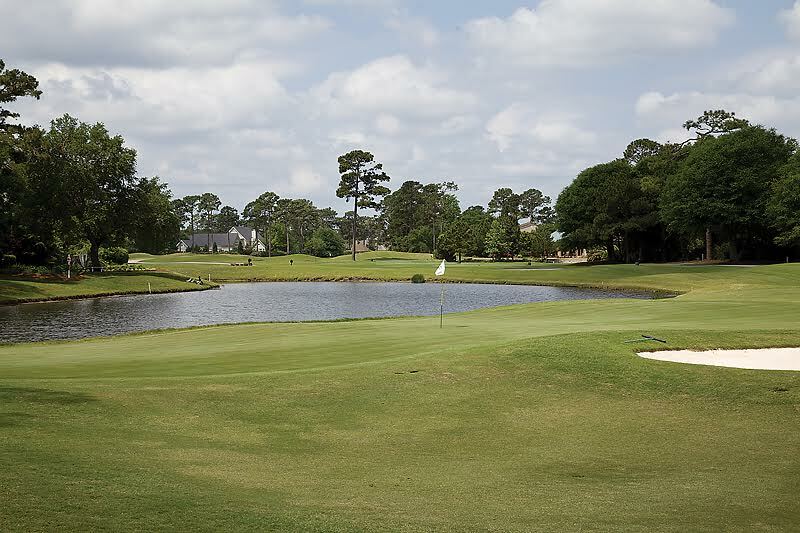 The golf tournament is the perfect weekend activity, and admission is free and open to the public. So come out and enjoy the gorgeous weather and cheer on your favorite team! Landfall’s annual Fall Festival is almost here! The event starts at 10 a.m. on Saturday, October 10, and lasts until 2 p.m. 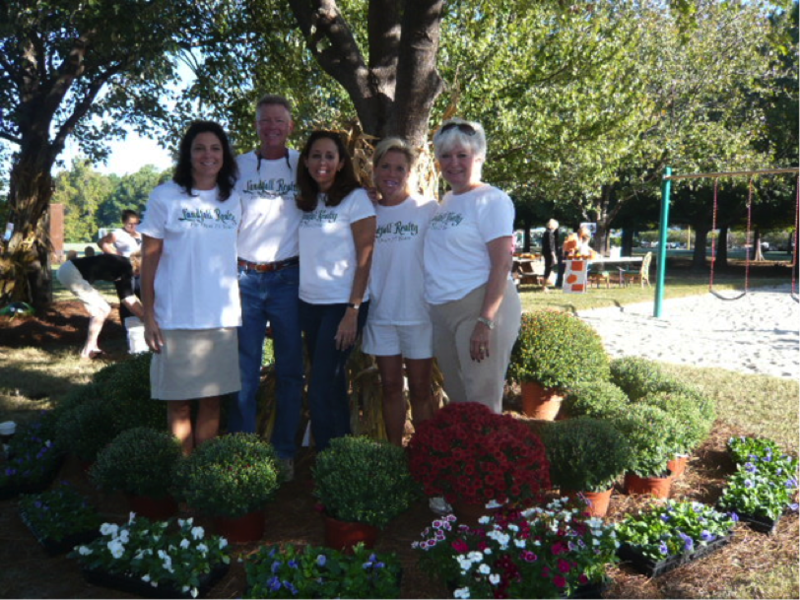 Located at the Landfall COA recreational area, the event is a fun way to celebrate the start of fall. 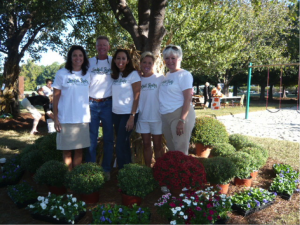 As always, the Landfall Realty realtors will be volunteering at the Fall Festival silent auction and check out station. Some Fall Festival activities for the children include pony rides, haunted hayrides, glitter designs, pumpkin painting, sand art, face painting, and much more. Also, for adults there are fall plants and pumpkins for sale, a 50/50 raffle, and a silent auction. Don’t forget to bring your appetite as food is a major part of the festival with lunch items, a baked goods table, and new this year, beer and wine for sale! Proceeds from the event go to the Landfall Kenan Chapel and the Great Oaks Club to help support their community projects. So come out and support the Landfall Fall Festival, now in its 14th year! The 18th annual Pink Ribbon Luncheon was held at the Wilmington Convention Center last Thursday, and Landfall Realty was proud to sponsor a table to support the cause. Close to 600 people attended the luncheon including Landfall realtors, Becky Spivey, Amy Neathery, Martie Davy, and Alison Bernhart. The fundraiser for the Pink Ribbon Project at New Hanover Regional Medical Center raises money so women without health insurance are able to have mammograms, and it provides comfort bags for men and women currently going through cancer treatment. Since the start of the charity over 7,000 mammograms have been provided. Local news anchor for WECT, Francis Weller, started the event with a speech, followed by President and CEO of the hospital, Jack Barto, who spoke about the Pink Ribbon Project. For entertainment there was a silent auction and The St. Stephen AME Gospel Choir performed. The featured guest was author and breast cancer survivor Patti Callahan Henry who candidly spoke about her battle with cancer. For more information about the Pink Ribbon Project go to, https://www.nhrmc.org/nhrmc-foundation/get-involved/special-events/pink-ribbon-project. Wilmington’s famous triathlon event is almost here! The Beach to Battleship full triathlon and half ironman take place October 17th. The race begins at Wrightsville Beach with the swimming portion, followed by biking through the town of Wilmington, and finally a run through downtown Wilmington, finishing at the boardwalk on the Cape Fear River. Starting early Saturday morning at 7:30, the triathlon lasts all day. The event includes participants from the Wilmington area as well as contestants from all over the East Coast. These out of town contestants and their families are also beneficial to the community because they are bringing tourism and revenue to Wilmington. Additionally, it’s exciting for Wilmington locals to support the participants during the day long triathlon by cheering them on. Whether it’s encouraging them at Wrightsville Beach for the morning swim, or holding signs for them as they complete the 56 or 112 mile bike ride, or joining the crowd at the finish line to cheer them to the end, the event is thrilling for everyone involved.